"We needed a unique home to connect to the unique site. Craig and Cavan worked together to create a fun, inviting and truly livable home for our children to enjoy -fully engaging the history of our area-but uniquely modern at the same time". The compact 2,400 s.f. 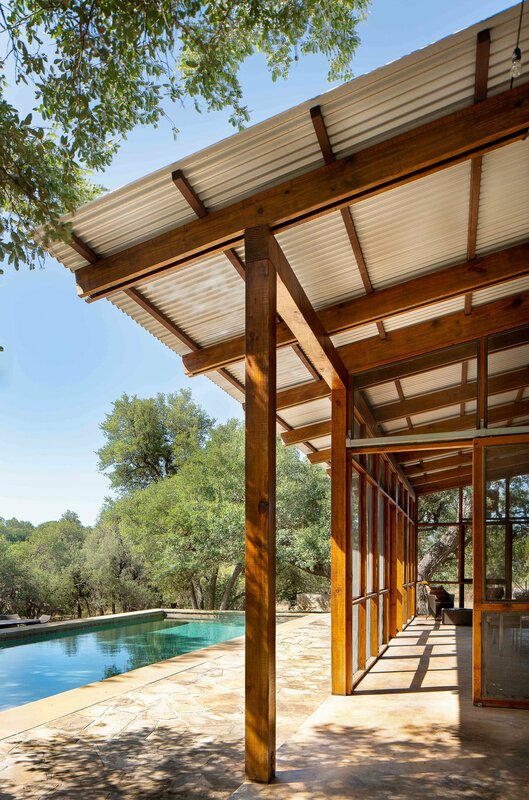 home is conceived around the original “German Sunday Houses" of the historic Hill Country Community offering weekend retreats for families leaving the larger cities for a weekend getaways. These homes located close to Main Street shopping areas were focused on a main living building “barn” and framed by a growing series of attached porches-some infilled for growing family needs. Although a primary residence, the design concept followed vernacular buildings of the area with a contemporary focus- complete built shed “additions” engaging the year round outside living lifestyle of the area. 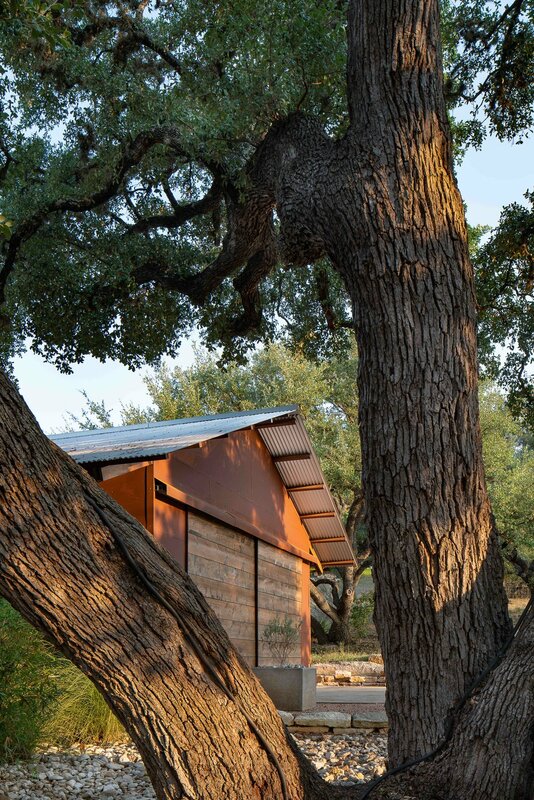 The 2.5-acre parcel of land offers a unique hidden compound for living away from the street surrounded by mature oak trees –bounded by a river to the East. Outdoor connections are reinforced with year round utilized screen porches as well as open areas on all sides to connect the home with its surroundings. Professional Builder September 2015 "Great Design Hits Home"
San Antonio Express News Trends Summer 2010: "Countryside Bend"